In ancient Mexico, cocoa was treasured as a currency, ritual offering and a source of a rich, delicious hot beverage. 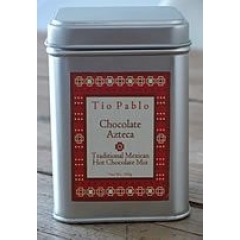 Ultimately cocoa came to symbolise the power and glory of the vast Mayan and Aztec empires. 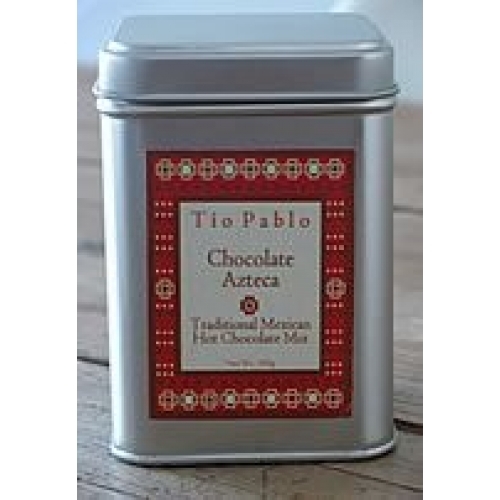 Tio Pablo brings a Oaxacan blend of dark cocoa, cinnamon and chili spice, producing a smooth drink with a mild note of black pepper. A fitting tribute to this ancient beverage. Comes in a beautiful, refillable metal tin that makes a great gift for that someone special.